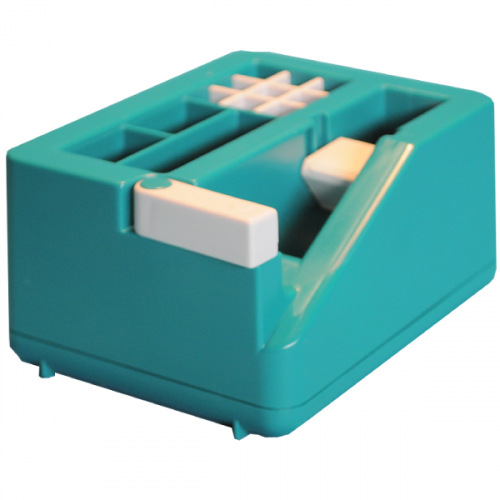 Bench Top Double Sided Tape Dispenser. Corrugated blade for easy cutting of tapes, including heavy tapes. Adjustable brake for tape tension control. Tapes up to 2 inch wide. Large tape roll capability of up to 7 inch maximum diameter. 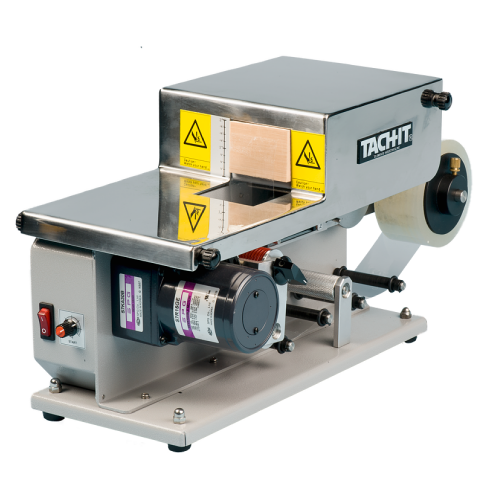 The Tach-It model #4163 is a heavy duty double-sided tape dispenser with a weighted base. 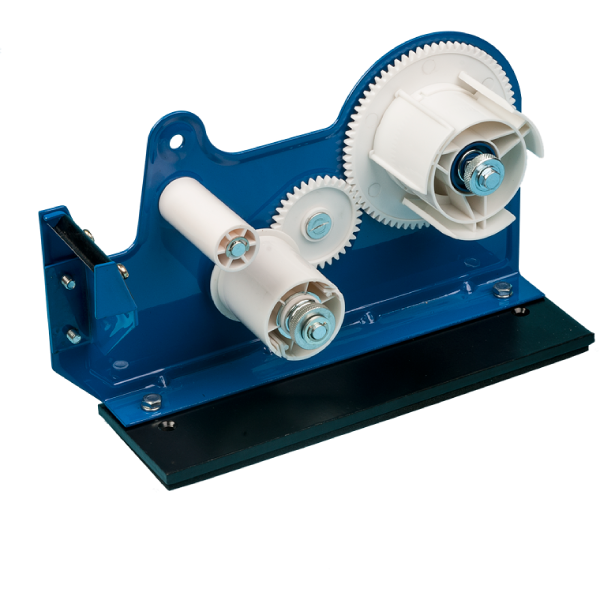 Adjustable brake, corrugated cutting blade for the toughest tapes, and positive gear driven rewind system for the liner makes this dispenser perfect for industrial, assembly, shop, and specialty packaging. This dispenser is for tape up to 2 inch wide.